I really like stamping, it is relatively easy to do and easy to do on both hands. Just a shame my topcoat smudged this again! So cool! 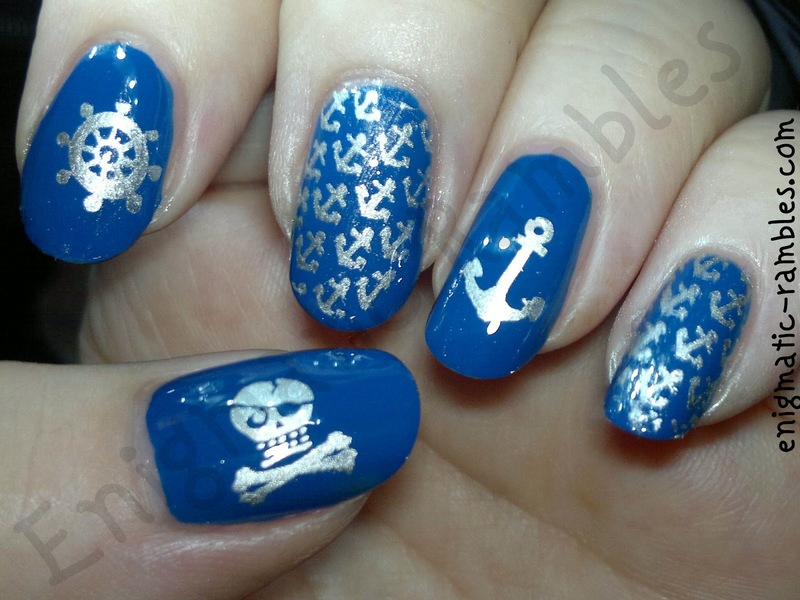 I love nautical anything and this is no exception!